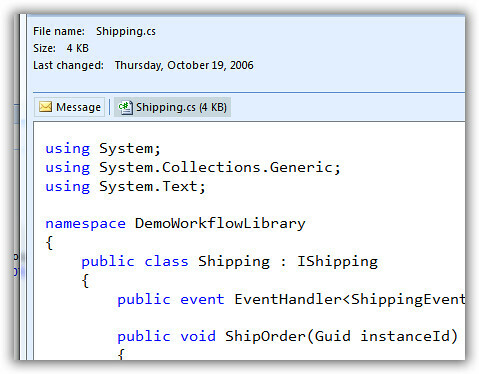 for productivity, namely in outlook 2007 for me, this is a great advancement to the platform. i now don't have to double-click a file, etc and launch another program to see what usually is just a glance that is required. 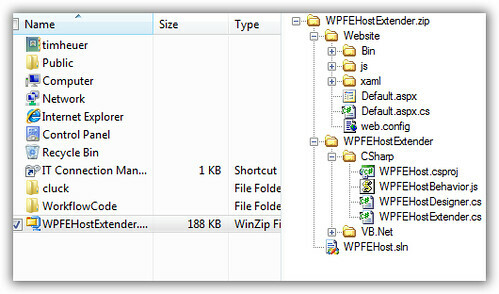 this preview mode in the file explorer has existing in windows xp, but was little used by developers. this is likely due to the warnings and caution from microsoft to not use managed code for this feature. 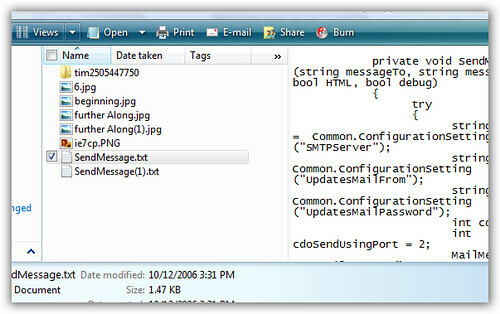 in winxp, this functionality is executed in process, thus making it a dangerous path when multiple versions of the CLR might be invovled. one handler that stephen also provides is a pdf preview handler (probably the second one i will use the most next to the zip one). 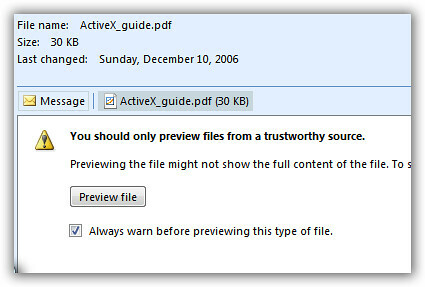 in his sample, he uses the adobe activex control for the acrobat reader implementation. now this would require that you have adobe reader installed. if you are a frequent reader, you may know that i'm not a fan of adobe reader. 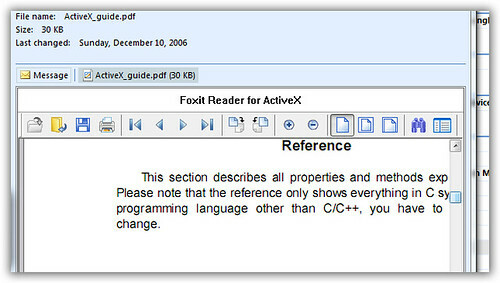 i use foxit reader from foxit software. it's lean and mean. i wanted to ensure i could still use the pdf preview handler, but had to modify a few things. after this (the FormatCode funciton basically just does a switch on the file type and applies the appropriate formatting from manoli's object), the formatted code is rendered to view like the sample above. it's really easy to implement.